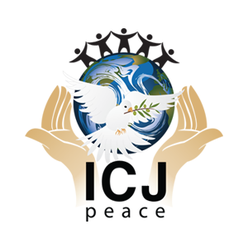 was established in June 1945 by the Charter of the United Nations and began work in April 1946 as the successor to the Permanent Court of International Justice. The Statute of the International Court of Justice, similar to that of its predecessor, is the main constitutional document constituting and regulating the Court. Its official languages are English and French. 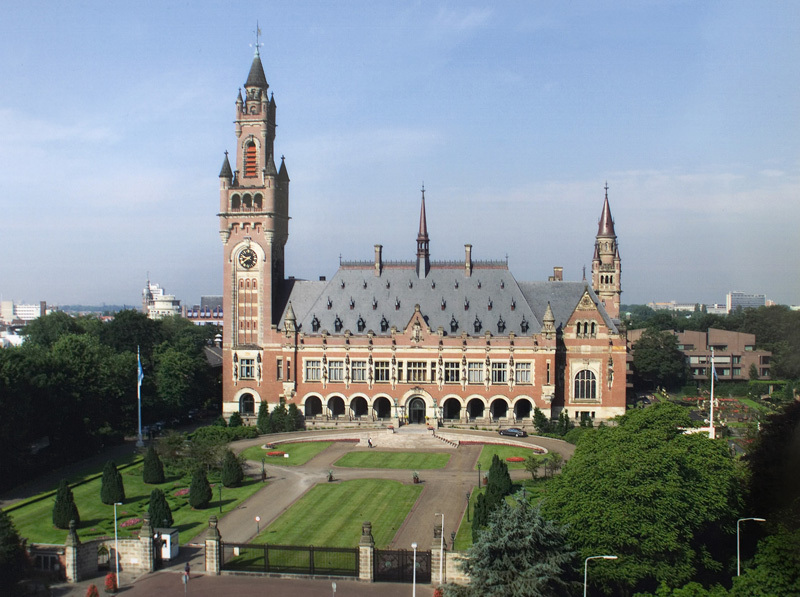 The seat of the Court is at the Peace Palace in The Hague (Netherlands). International Court of Justice is the only principal organ of the United Nations that is not located in New York (United States of America). The International Court of Justice acts as a world court. The Court has a dual jurisdiction : it decides, in accordance with international law, disputes of a legal nature that are submitted to it by States (jurisdiction in contentious cases); and it gives advisory opinions on legal questions at the request of the organs of the United Nations or specialized agencies authorized to make such a request (advisory jurisdiction). As stated in Article 93 of the UN Charter, all 193 UN members are automatically parties to the Court's statute. The Court is composed of 15 judges, who are elected for terms of office of nine years by the United Nations General Assembly and the Security Council from a list of people nominated by the national groups in the Permanent Court of Arbitration. The election process is set out in Articles 4–19 of the ICJ statute. Elections are staggered, with five judges elected every three years to ensure continuity within the court. No two judges may be nationals of the same country. According to Article 9, the membership of the Court is supposed to represent the "main forms of civilization and of the principal legal systems of the world". The five permanent members of the United Nations Security Council (France, Russia, China, the United Kingdom, and the United States) always have a judge on the Court. International Court of Justice is assisted by a Registry, its permanent administrative organ. It is accountable to the Court alone. It is headed by a Registrar, assisted by a Deputy-Registrar. The Registry consists of three Departments (Legal Matters; Linguistic Matters; Information), a number of technical Divisions (Personnel/Administration; Finance; Publications; Library; IT; Archives, Indexing and Distribution; Shorthand, Typewriting and Reproduction; General Assistance) and the secretaries to Members of the Court. The President and the Vice-President are elected by the Members of the Court every three years by secret ballot. The election is held on the date on which Members of the Court elected at a triennial election are to begin their terms of office or shortly thereafter. An absolute majority is required and there are no conditions with regard to nationality. The President and the Vice-President may be re-elected. The President presides at all meetings of the Court; he/she directs its work and supervises its administration, with the assistance of a Budgetary and Administrative Committee and of various other committees, all composed of Members of the Court. During judicial deliberations, the President has a casting vote in the event of votes being equally divided. The Vice-President replaces the President in his/her absence, in the event of his/her inability to exercise his/her duties, or in the event of a vacancy in the presidency. For this purpose he/she receives a daily allowance. In the absence of the Vice-President, this role devolves upon the senior judge. The present President is Ronny Abraham (France) and the present Vice-President is Abdulqawi Ahmed Yusuf (Somalia). Presently, India’s Dalveer Bhandari is also a Judge at the International Court of Justice.